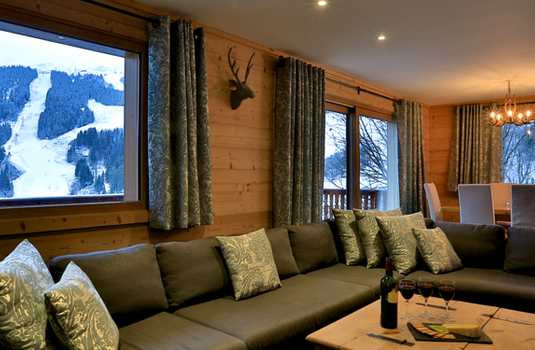 Set in the mountainside amongst striking pine trees, this picturesque chalet has incredible views across Meribel and the surrounding peaks. 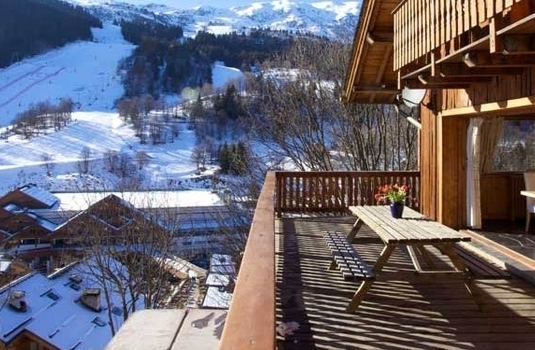 Located just minutes from the centre of town and a short walk to three of the resorts main lifts you can take full advantage of the slopes as well as the eclectic atmosphere of one of France’s best resorts. 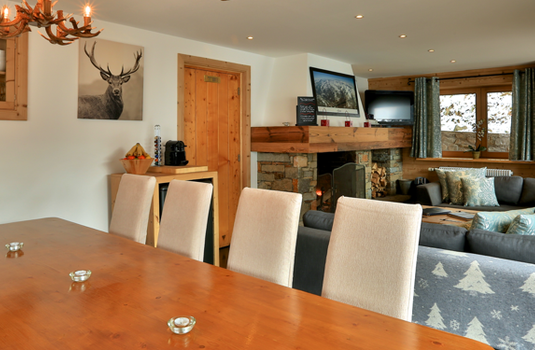 Tranquil and serene, the traditional décor and relaxed environment welcomes guests into a friendly and peaceful setting to spend a winter holiday. 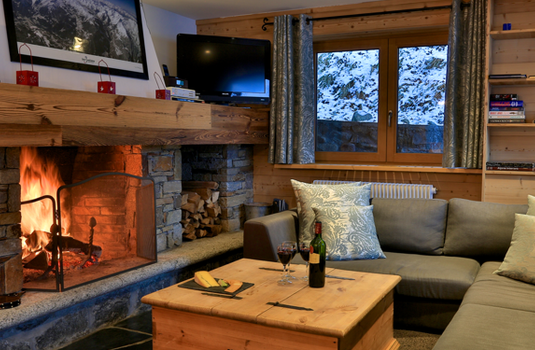 Enjoy the warmth of the large fireplace on the comfortable sofas in the sitting room or relax in the hot tub after a long day. 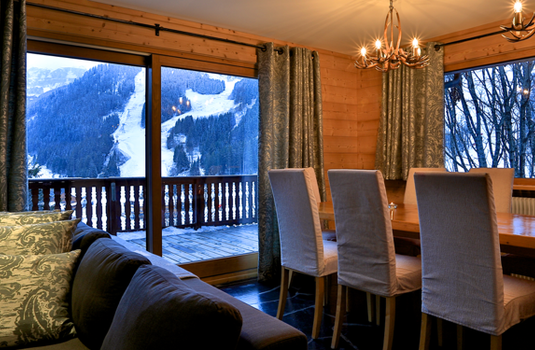 At night make sure not to miss the incredible display of stars on the outdoor terrace. 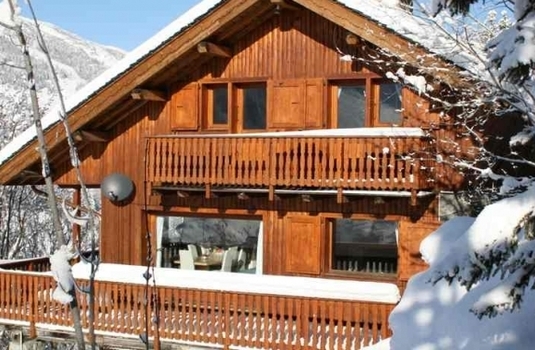 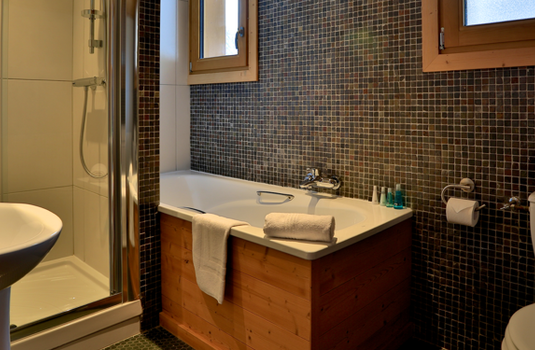 With five bedrooms, all of which are en-suite, this chalet can sleep up to ten guests. 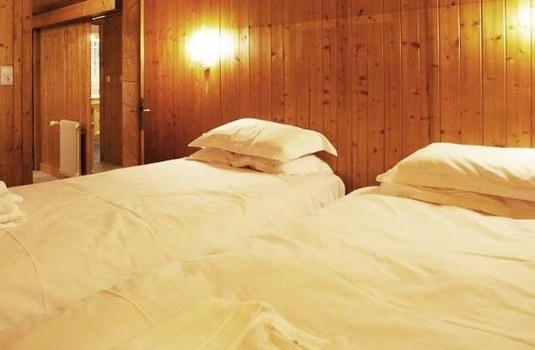 Two of the rooms feature adaptable bed configurations to make either a double or two single beds. 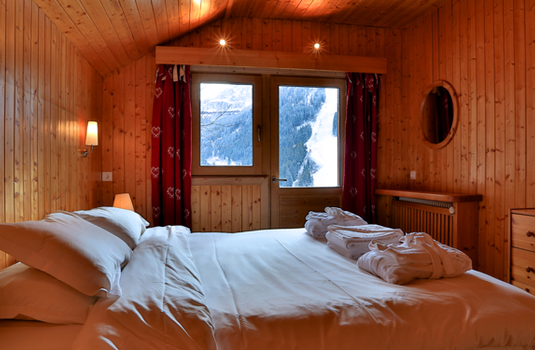 The other rooms include: 1 double bedroom, 1 twin bedroom and 1 small double bedroom.